BG Goettingen is having a tough season this year. Its seems that things work out a little better lately since the team won their second consecutive game last weekend. They faced 15th placed LTI Giessen and basically controlled the game for most of the time. The squad of headcoach Michael Meeks displayed high intensity throughout the game which gave them the chance to gradually extend their lead in every quarter. Eventually winning the game 76 -65. 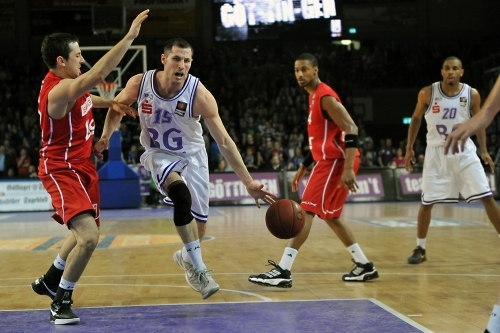 Scorers1st client Matt Bauscher had a very good performance with 15 points, 4 rebounds and 3 assists. Jerel Allen had 19 points and Sean Evans posted a double double (18 points 13 rebounds) for BG Goettingen.